The Grizzly Success Scholarship program will provide funds to students within a certain criteria who are close to graduation. 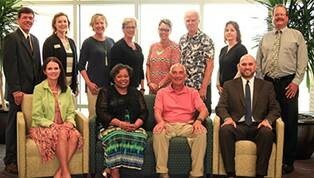 The Foundation Board of Directors voted at their quarterly November 14 meeting to repurpose the Foundation Grants program to align with Guided Pathways and impact student retention and completion. $126,000 is available to disburse over three semesters and the results will be monitored to ensure the program is a success. In another move to help more students finish what they start, the Board of Directors approved a higher disbursement percentage from the Foundation’s $11.5 million endowment for the 2018-2019 academic year. This means more than $600,000 will be disbursed from endowed scholarship funds and nearly $80,000 more in annual scholarship funds. At $500 per student for three semesters, 84 students would be impacted through this pilot program.